This casual design is a dependable essential for anyone on the go! It provides double security with its top zipper closure and fold over flap with buckles. It has several small inside pockets for cell phone, ear buds, pens and your techie items. Padded laptop section will fit most laptops. The bag can be carried with the shoulder straps that adjust from 36 to 61 inches or remove the shoulder strap and carry it with the sturdy leather handle. 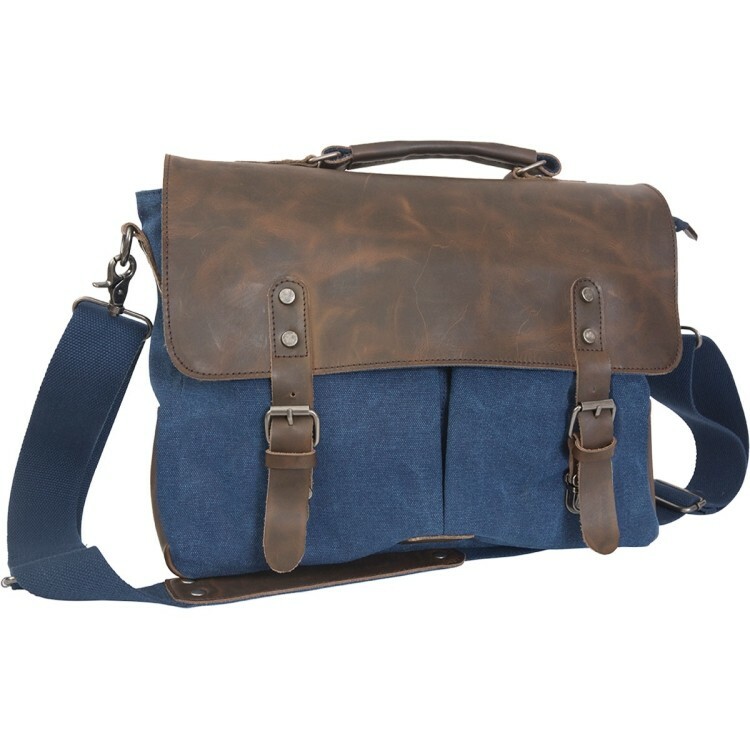 The casual, lightweight and ultra-functional messenger bag gets a trendy re-design with the stylish blue colorfast cotton canvas. 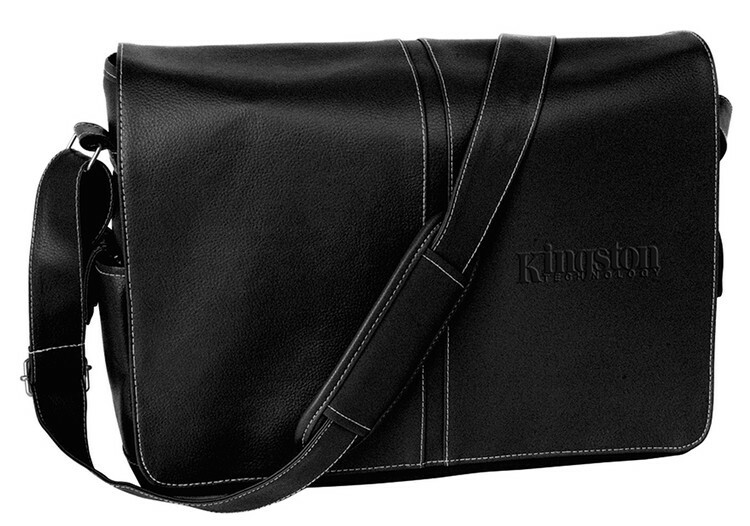 Laptop Sleeve: 13-1/2" (w) x 8" (h). 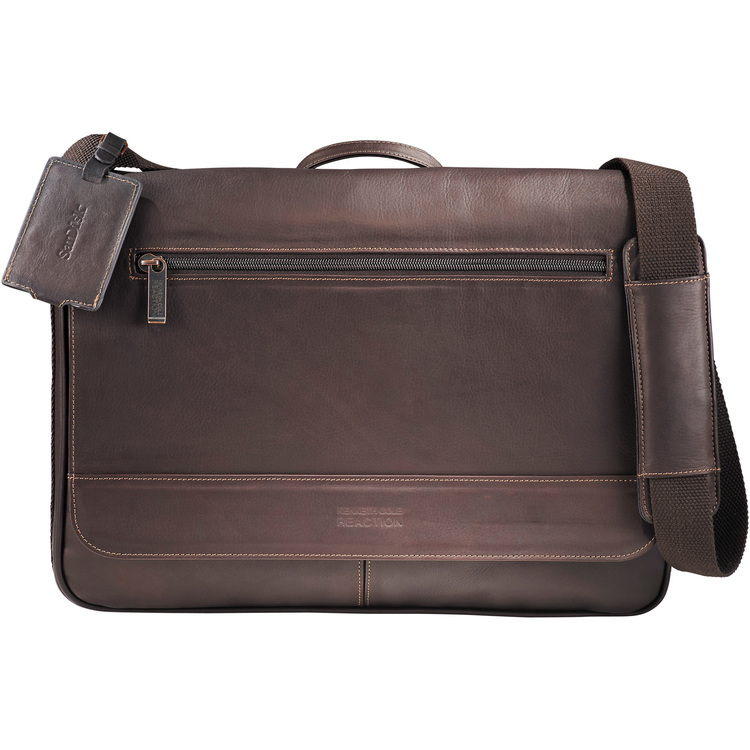 Made of soft Colombian leather, this Kenneth Cole flap over compu-messenger has a refined yet rugged look. Large main compartment includes padded computer pouch with Velcro closure that holds a 15" laptop. Main compartment also holds iPad or tablet. Front pockets to hold your iPhone/smartphone, cards, pens, etc. Front flap features magnetic closures. Padded shoulder strap. Includes genuine full grain leather identification tag. Includes signature Kenneth Cole® hardware and lining.